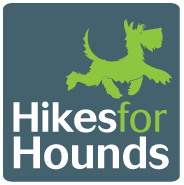 Hikes for Hounds offer a complete range of pet care services including dog walking, pet and house sitting, pet feeding, puppy care and pet transportation. We provide a friendly, reliable and professional service which is tailored to meet your and your pet’s needs. Hikes for Hounds are fully insured and our dog walkers and pet sitters are police checked (CRB). Pets travel safely in our specially adapted van and no more than four dogs are walked at a time. We also follow the recommended code of practice set out by the Nationwide Associates of Registered Pet Sitters (NARPSUK). We could never bring ourselves to leave our cats at a cattery and whilst that might be right for some we just knew they wanted to stay at home where everything was familiar to them. So it was with enthusiasm that we booked Hikes for Hounds to call in and feed them, check they were ok, offer a stroke or two and to empty the letterbox! All in all they provided a fantastic service which made going on holiday truly relaxing – and when we returned? Well the cats just carried on like we had never been away – what more could you want?